Fiverr is a major marketplace for those seeking freelance work. Entrepreneurs and businesses regularly use the site to find affordable graphic designers, writers, website developers, and other digital services. The tasks and services are called gigs and start at $5. Millions of services are listed on the site, making it easy to find reliable independent contractors but Fiverr is not the only option. 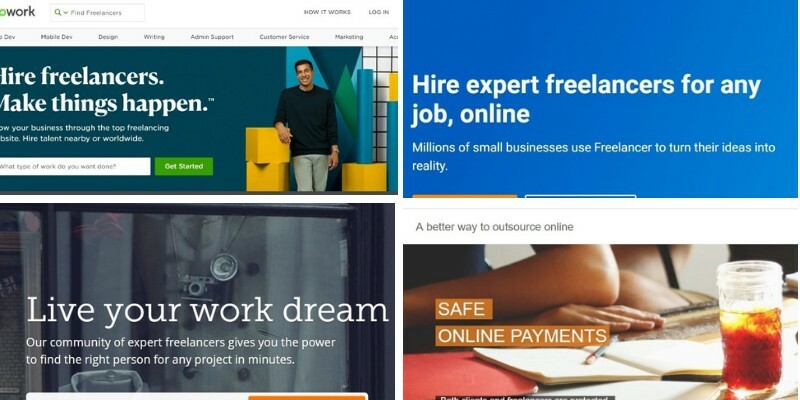 Whether you need to hire freelancers or seek quality freelance gigs, here are 10 alternative sites like Fiverr. Gigbucks allows freelancers to offer their services and takes a 20% commission of the paid gigs, the same as many of the other freelance marketplaces. Unlike Fiverr, Gigbucks lets you set the price. Freelancers may choose between $5 and $50 for their services. However, users need to complete a specific number of gigs and maintain a positive review rating to qualify for the $50 limit. One of the benefits of the site is the wide variety of job categories. Besides the standard digital services, the available categories include silly stuff, fun & bizarre, and gift ideas. SEOClerks was created as an online job marketplace offering SEO services. It has since expanded to include a wide range of online marketing and website-related services including website and mobile app development, article writing, and eBook ghostwriting. The cost of these services can range between one and several hundred dollars, depending on the complexity of the project. The interface provides a simple method for evaluating employers and freelancers. The profiles and job listings include the number of likes received from past transactions. 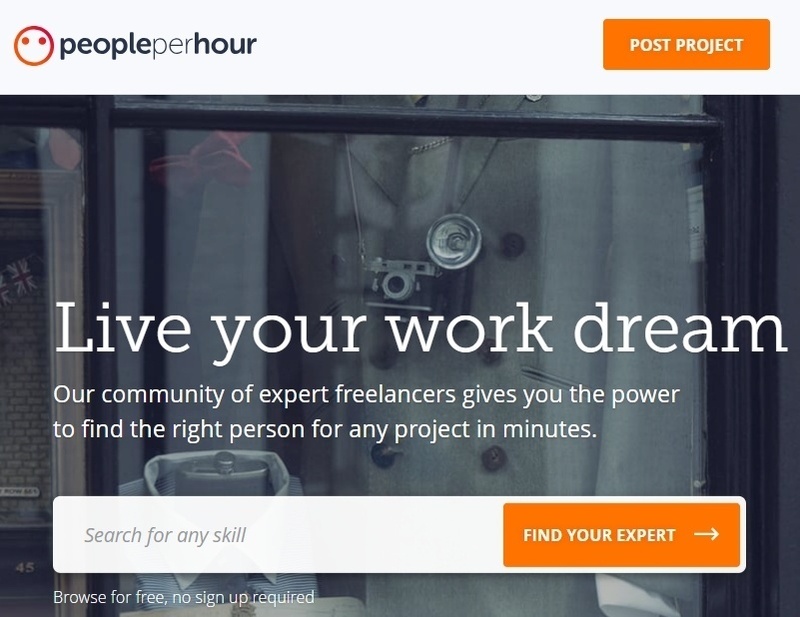 In just a few short years, PeoplePerHour has become the biggest online job marketplace in the UK. PeoplePerHour is not open to every freelancer. Workers must complete an online application to join the freelancer community. After acceptance, freelancers can promote their services with fixed prices or search for hourly job postings. 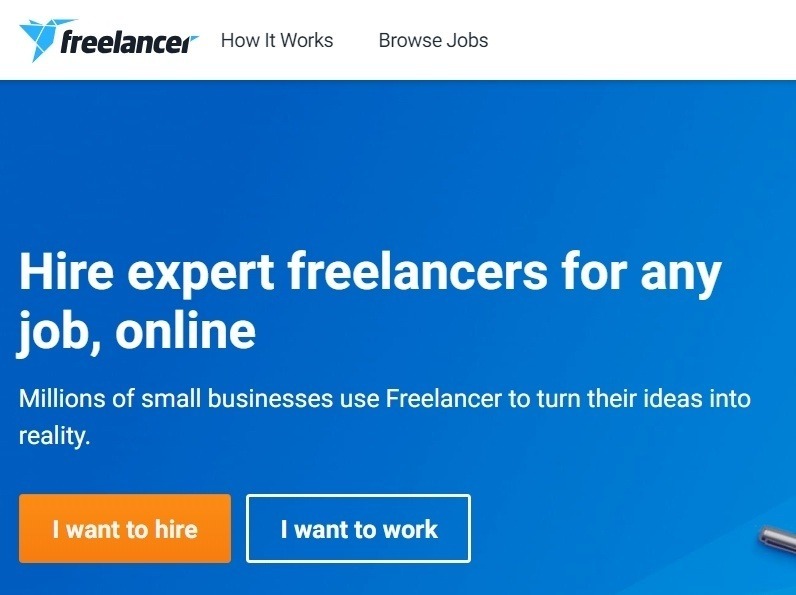 Businesses enjoy using the site as the available freelancers tend to be experienced in their fields due to the stricter guidelines for job seekers. Upwork is one of the biggest online job marketplaces. It was formed after the merger of Elance and oDesk, which were previously two of the leading freelance market sites. Freelancers can create detailed profiles with links to past projects and set their own hourly rates. Businesses post jobs, choosing from a selection of categories and setting their proposed fixed rates or hourly rates. Freelancers then bid on the jobs, allowing businesses to choose between candidates based on their proposed bids and experience. Guru was first established in 1998, making it one of the older job market sites. It was created for tech workers seeking short-term contracts but has expanded to include a wider variety of categories. Due to the age of the site, it has a large pool of freelancers with over two million active job seekers. As with most of the job market sites, Guru is geared toward business services including online marketing, SEO, writing, graphic design, and website or app development. Guru also has one of the lowest fees for businesses that want to create new job postings. Freelancer remains the largest freelance marketplace with over 32 million freelancers. The top job categories include website development, graphic design, writing, and Internet marketing. After posting a new job, businesses receive a list of potential freelancers who best match the details of the posting. The company has also acquired a variety of other companies to expand their reach. In recent years, Freelancer purchased Warrior Forum, which is the most used marketing forum. Over 15 million jobs have been posted on Freelancer. To protect freelancers, funds are secured in escrow before work begins and then released when the project is finished. Fiver Up was created specifically as an alternative to Fiverr. The site even claims to charge 20% less compared to Fiverr. Users create their job postings and then wait for clients to request their services. As with Fiverr, freelancers earn levels based on their rating and number of jobs completed. Earning a higher level allows users to post higher-paying jobs. The primary job categories include online marketing and writing services. However, additional categories are available such as “fun & bizarre”, which includes tarot readings and live chat. You can even hire someone to play online video games with you. Microworkers connects businesses with skilled workers across the globe. As with many of the freelance markets, Microworkers allows businesses to create their own job postings. However, the site uses templates for common tasks, providing a streamlined way to post new projects. The site currently has over one million freelancers. Workers may browse the available job postings to apply for micro-jobs. Workers can withdraw funds using PayPal, money transfer, or Skrill. After completing jobs, workers receive ratings that impact their reputation and success rate. Businesses can then use these details when comparing candidates. While many of the freelance sites are dedicated to professional services delivered digitally, TaskRabbit allows individuals to post job listings for physical tasks such as housekeeping or yard work. TaskRabbit offers same-day service. The tasks posted on the site need to be completed the same day, which is useful for businesses or individuals who need last-minute help. After posting a new job, users can choose from on-duty taskers. Users also have the option to choose workers who have undergone thorough background checks, increasing the safety of the service. TaskArmy does not use bidding for jobs. It works very much the same as Fiverr, allowing freelancers to post the types of services that they offer and their rates. Businesses can browse compatible workers to find the right fit and select the number of hours the project should take. Payment is held in escrow until the project is completed. Freelancers are carefully screened before they can join the pool of workers. 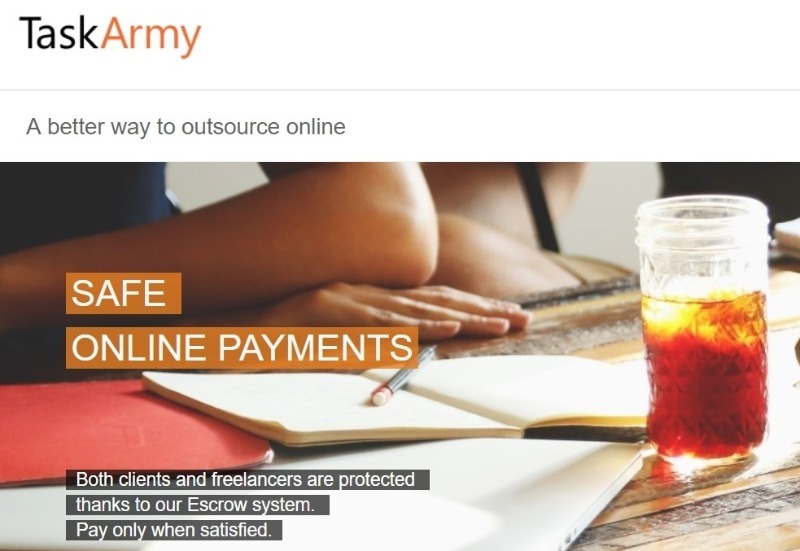 Every service listed on the site is manually approved by the TaskArmy staff, reducing the number of unqualified workers available on the site.